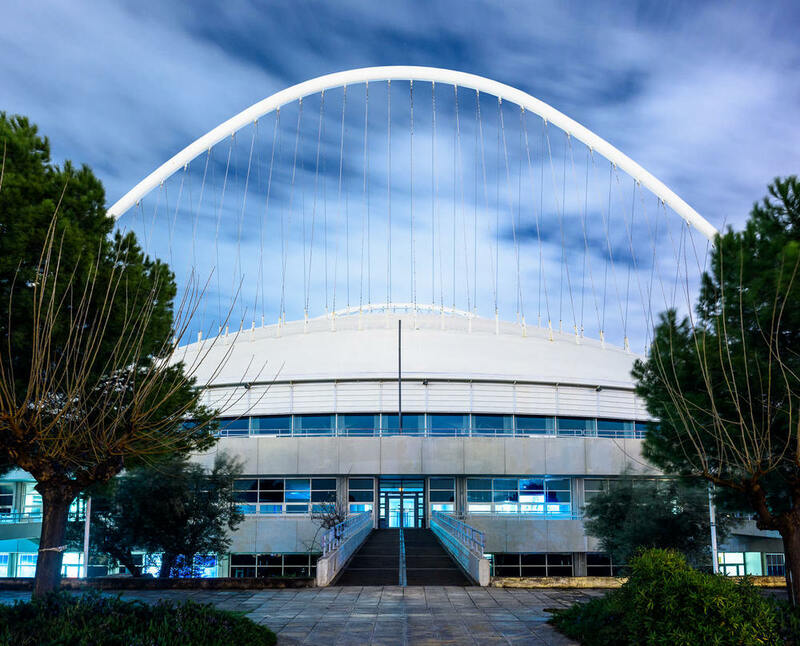 If you google "Olympics Athens" you won't get hits about Greece being the birthplace of the Olympics, or about the glories of the two modern Olympics that have been held there. 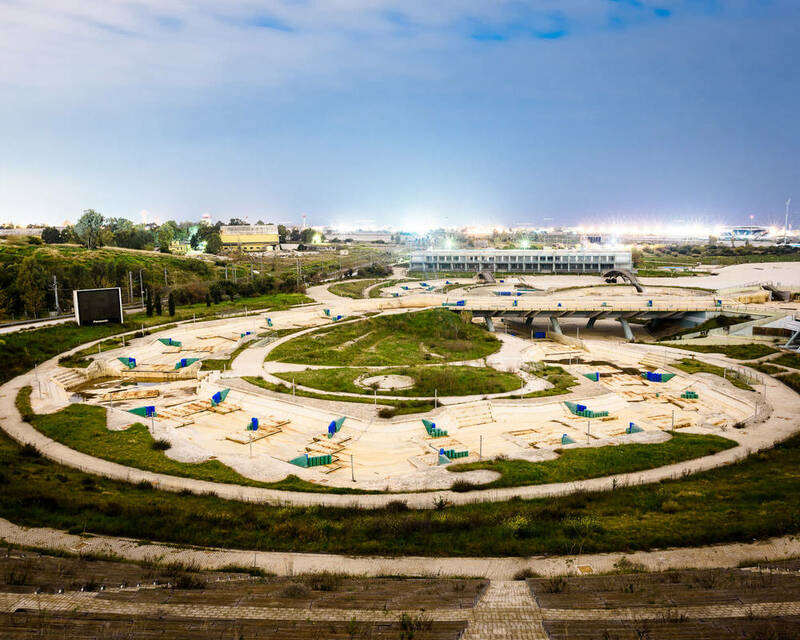 What you will get are hits about how the facilities of the 2004 Athens Olympics have been left abandoned since the games ended and have fallen into a state of serious disrepair. See "The new ruins of Athens" shouts the Daily Mail. "Ten years on, Athens 2004 gives Greece little to cheer about" gloats Reuters. I was fascinated by these structures and I wanted to see if the reports were true. I wanted to photograph the sites beautifully and dramatically, and bring them into a fantasy world where they really could compete with the Acropolis - I wanted to create postcard pictures of the venues. I had been challenged by Nikon to produce a series in Athens in two days that shows off their lenses. I decided to photograph the venues at night, to add drama and bring out the strange atmosphere and colours that can be achieved with really long exposures. Other photographers had been to the sites during the day, so I needed to create a series that was different to what they had done, and I love the idea of playing with this fantasy world. Most of the venues were in complete darkness when I took the pictures, but after a 60 second exposure an image pops up that is nothing like the dark blob that I can see in front of me. 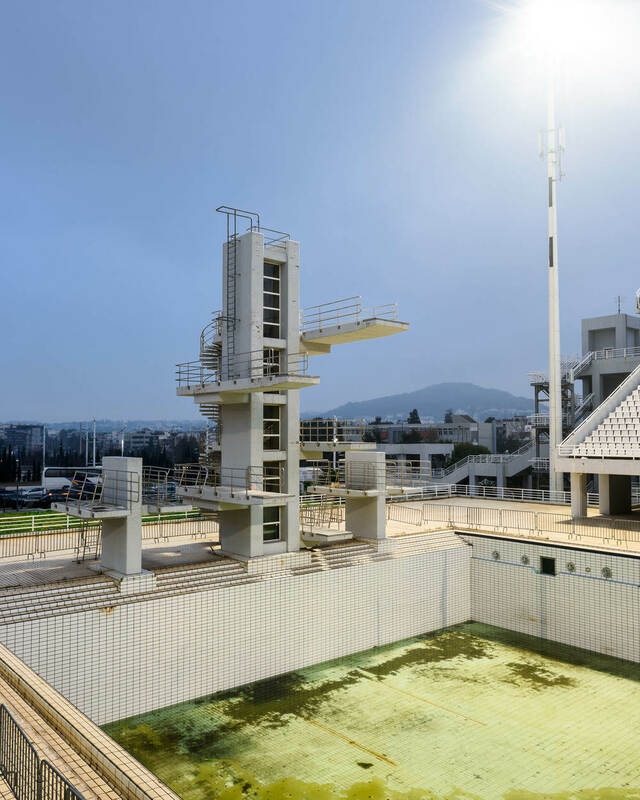 I wanted to focus on all the venues of the Olympics, and not only on the ones that are no longer used - so some of the pictures are of facilities that are still in operation. Right next to the empty diving pool is a pool full of kids getting swimming lessons. But even the facilities that are still being used are not being maintained properly and starting to fall apart - chunks of concrete are falling off buildings and weeds and graffiti are overtaking the stadiums. I am sad to say it is hard to imagine that they will still be standing in twenty five years, let alone two and a half thousand years. All of these images were shot with either a AF-S NIKKOR 24mm f/1.4G ED or AF-S NIKKOR 50mm 1.4G and Nikon D810.